This beautiful little book turned up in my Christmas stocking this year. As slim as it is, with wood engravings by Harry Brockway and an illuminating afterword by the author’s daughter, it really is a book to be savoured. He then took his chosen acorns, dipped them in water and set out into the wilderness. And so begins a slow, unfurling tale of a man who plants trees in their hundreds over the span of a lifetime. 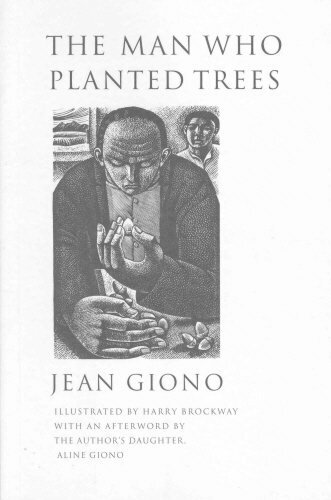 As the narrator gazes on in wonder, the man covers acres of arid land with seedlings that become saplings that gradually become a forest, altering the landscape, the climate and the temperament of the people who reside there.